These brand new five ounce Custom Tea Cup Samplers are made of durable white styrene plastic. 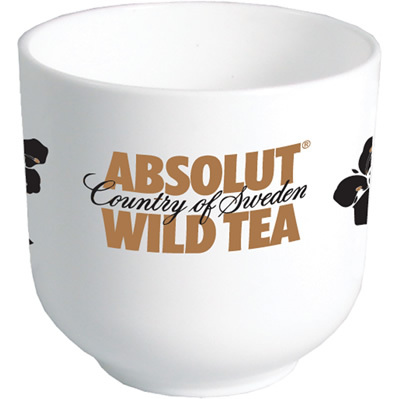 Great for restaurants, promotions, special events, and much more, our Custom Imprinted Plastic Tea Cups add a fun, unique touch to any event. Each Custom Plastic Tea Cup features your one- to three-color design imprinted on the side. To order your Customized 5 Ounce White Tea Cup Samplers, please contact us toll-free at 1-800-233-0828. Your satisfaction is guaranteed when your order Custom Sampler Glasses from us. C1T5 5 Oz. Custom Plastic Tea Cups .87 .83 .77 .73 .69 .63 1.5" 1"
For additional information on our Custom Imprinted Tea Cups or any of our other Customized Plastic Sampler Glasses, please contact us at 1-800-233-0828.